The Economic and Financial Crimes Commission (EFCC) has given former Niger Delta militant leader, Mr Government Ekpemupolo a.k.a Tompolo one week to appear before the Commission on Awolowo Road, Ikoyi, Lagos or risk being declared wanted. 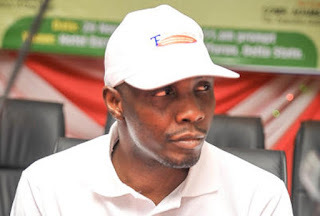 In a letter from the EFCC, the Commission says it is investigating Tompolo for unclear dealings involving the sale of parcels of land worth about 13 billion naira to the federal government under the last administration. He is expected to appear at the EFCC training room on Thursday, December 17. A similar invitation was extended to Tompolo in November by the Head of Operations at the EFCC, Iliasu Kwabai but he failed to appear and no correspondence was received from him.